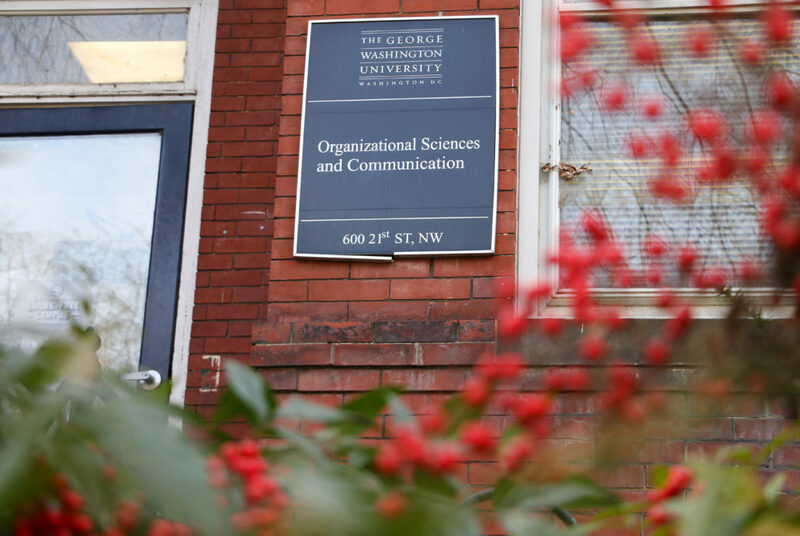 The organizational sciences and communication department is hiring new faculty to keep up with growing student interest. Enrollment in the organizational sciences major has declined over the past two years, hitting 60 last year after peaking at 113 in 2016 – but officials said the drop was intentional because they did not have enough professors to teach all of the enrolled students. Now, the department has employed one additional faculty member to start teaching this fall and is also asking the University for another hire, professors said. Lynn Offermann, the chair of the organizational sciences and communication department, said since the major was introduced in 2010, student interest has grown faster than expected and exceeded the capacity of department staff. She said after the peak enrollment in 2016, department leaders decided to restrict the number of students who could major in organizational sciences. “As a department committed to providing students with a first-rate educational experience, we made a conscious decision to limit the number of majors until we could increase faculty,” she said. There are 16 courses taught by nine faculty members in the undergraduate organizational sciences program this semester, according to the schedule of classes. Offerman said administrators allowed the department to recruit a full-time faculty member this year and filled the position last month. She said the new faculty member will begin teaching courses in the fall and the department submitted another request to recruit an additional faculty member for the following year. “With increased faculty, we may be able to accommodate additional students into the major while continuing to provide the high quality that has attracted so many students to us,” she said. David Costanza, the director of the industrial and organizational psychology doctoral program and a professor of organizational sciences, said that when the department launched its major nine years ago, faculty did not expect it would exceed 40 majors by 2014. Seventy-four students majored in organizational sciences in 2014, according to institutional data. He said the department decreased major enrollment by capping courses at smaller sizes and refusing to expand sections. Costanza said the department prioritizes one-on-one faculty-student interactions, a capstone senior research project and small courses with about 20 to 60 students. But he said the major has been “unsustainable” with existing staffing levels. Kimberly Gross, the interim associate dean for programs and operations for the Columbian College of Arts and Sciences, said the department is teaching more students this academic year than it was in the 2015-16 academic year. She said the number of students served this year is down “slightly” from its peak in the 2016-17 academic year. “With this addition, the department will be able to accommodate additional students in the organizational sciences major,” she said. Gross declined to say how the number of faculty members in the department impacts enrollment, how CCAS promotes the major and how many majors the program has currently. She declined to say how faculty and class sizes impact enrollment and what strategies the department enlists to promote the major. Nils Olsen, an assistant professor of organizational sciences, said the department has shrunk over the past two years and operated with the number of faculty that CCAS officials have allotted to the department.